I know there should be a script running and probably I'll get my rep back eventually, but I can't help taking this personally. I mean... WTH? This seems like a petty act. Moreover, I'm going for the Legendary badge, and if I get my rep back on a different day, that's not really helpful. Who, other than scripts, looks into this? Will the person responsible for this be dealt with in any way? Is there no way to keep serial downvoting at bay? This started 3 days ago. The rep was restored (although not for the same day, so there's a minus there) for the first day. However, yesterday and today it continued. Not as many downvotes, but clearly someone's going out of their way to downvote me. Also, the rep lost yesterday wasn't recovered. Could someone have figured out how to bypass the scripts? As you can see, more recently the votes are some time apart. I only highlighted those that are on old questions. Agreed, you might stumble into an old question and downvote it, but to me this seems like much more than a coincidence. 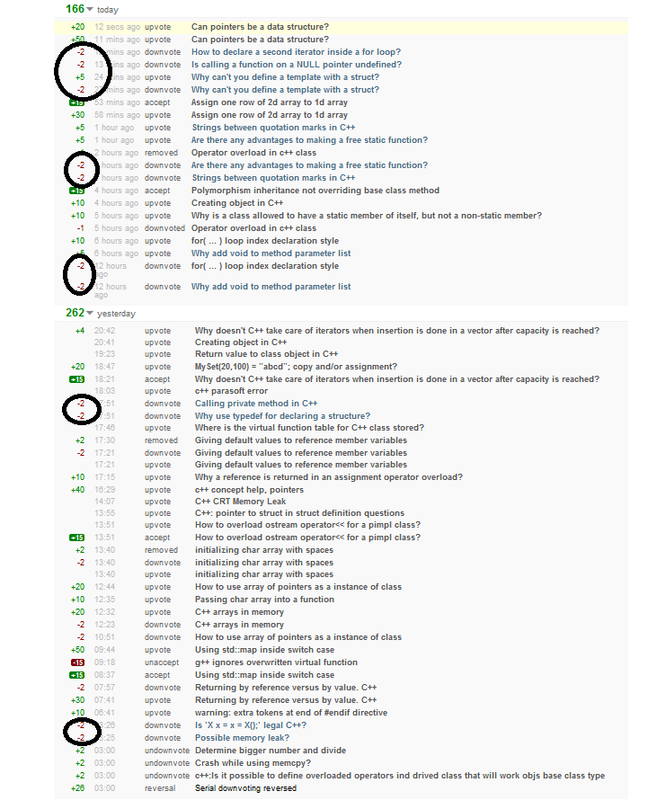 A user was trying to stay "under the radar" with respect to downvoting you (several checks are in place, he was doing it at a very low volume as to avoid all of them). We have invalidated all involved votes.